Marking the centennial of Ingrid Bergman’s birth, her daughter Isabella Rossellini will perform a theatrical tribute to one of the 20th century’s most iconic actresses. The event will be held at the Brooklyn Academy of Music (BAM) on Saturday, Sept. 12, at 8 p.m. 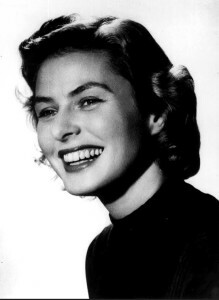 Originally presented at this year’s Cannes Film Festival (where towering images of Bergman, the official “muse” of the festival, dominated the Croisette), the staging incorporates Rossellini’s own memories of her mother, plus interviews, unpublished letters, personal film footage and previously unreleased video clips and images from Bergman’s private archive. Accompanying Rossellini will be actor Jeremy Irons, in what promises to be an unforgettable evening. 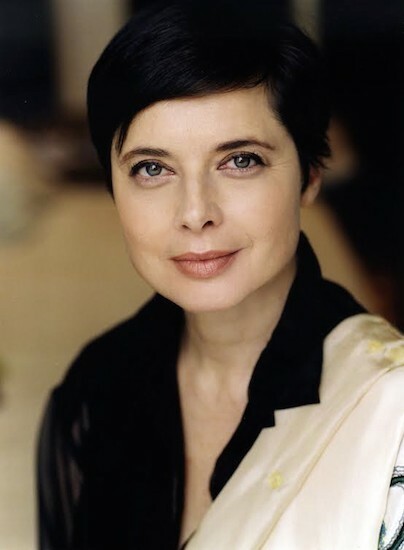 In anticipation of the event, the Eagle recently spoke with Rossellini by telephone. BROOKLYN EAGLE: How far in advance did all of this start coming together? legal issues. There were many studios involved. My mother worked in Hollywood, of course, but there were many independent production companies and European studios as well, from which we needed approval for certain archives. BE: How did Jeremy Irons become involved? IR: The tribute at BAM will involve readings of excerpts from my mother’s autobiography, newsreels, visuals that require voice over, and there are many voices participating. But you asked about Jeremy. And, thank God, first and foremost, he was available. And I was looking for the right “lead voice” — one that uses impeccable English but has a definite European accent and timbre. How could one do better than Jeremy for that? BE: What do you think accounts for the “emotional transparency” of your mother’s performance style? What qualities did your mother have that made her so believable, that made her such a consummate actress in such a wide range of roles, from Ilsa Lund, Alicia Huberman to Sister Mary Benedict? BE: How did your mother’s archive come to reside at Wesleyan? IR: The film department at Wesleyan has one of the most comprehensive paper archives revolving around film — the posters, scripts, letters, contracts, etc. My first husband, Martin Scorsese, was very passionate about film preservation and had a connection to Wesleyan. He helped organize my mother’s collection, which was extensive. The effort was also helped greatly by Professor [Jeanine] Bassinger, who is the Corwin Fuller Professor of Film Studies at Wesleyan. BE: Do you find that younger film audiences don’t really know the breadth and range of your mother’s work? Is one of the goals of this film series and the BAM tribute to introduce your mother’s work to this audience? IR: Yes, in a word. But remember that in Europe younger film fans are being exposed to her work through film schools and festivals, which always include the many movies she made there. I would guess that younger audiences know her [better] there than here. Time and history have a funny way of rewarding quality, even if not recognized when the film is first released. I am thankful that the quality of my mother’s work in so many independent productions is seen in film schools and festivals. BE: With your mother’s fluency in so many languages, do you think she could more easily adapt to global film-making, which has become, with so many co-productions, the norm? What current film directors do you think she would want to work with today? IR: That’s a hard one — naming names? I would not presume. Let me just say I believe she would have flourished in today’s world. Remember that film is a universal art form. We certainly have technology and ability to add translations to the words. But let’s not forget that silent film, before they had to worry about words, was even more universal. No matter how many languages my mother spoke, I think she understood the language of images even more. IR: Yes, I saw it. And I met the Swedish actress Rebecca Ferguson, who plays the spy named Ilsa Faust in that movie. At a European film festival there was a screening of a documentary about my mother, “Ingrid In Her Own Words.” Rebecca was there. We met and had a delightful discussion about that little homage in “Mission Impossible”…I thought it was wonderful that she, and the director Christopher McQuarrie, used that in the movie. BE: Thanks so much for your time, and your Brooklyn fans will pour forth to see you at BAM. IR: Thanks, I look forward to that.